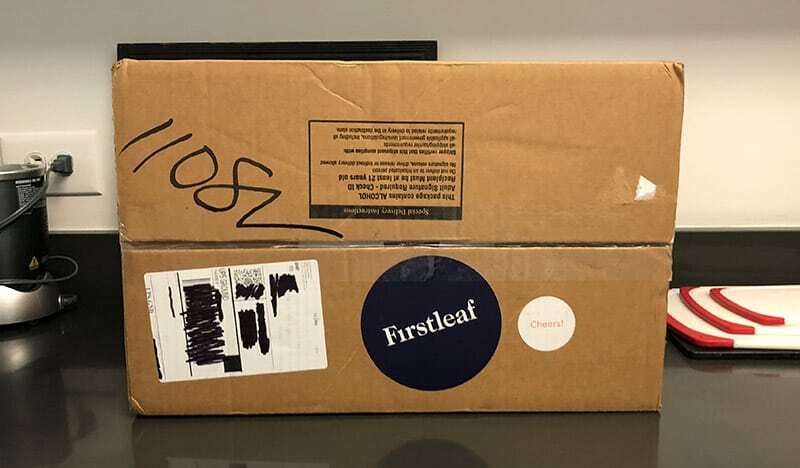 Firstleaf Review: The Best Tailor-Fitted Wine Club? If you’re like me and you know nothing about wine, you’re in the right place. There are over 1,000,000 different wine brands all over the world. And that doesn’t even begin to take into account the different variations, blends, grapes, and locations. How does a normal person who’s not an expert sommelier actually make an informed wine decision? They use a wine subscription service. That’s where Firstleaf comes in. Firstleaf is a “wine of the month” style club that allows you to try a variety of hand-picked wines from all expert winemakers all around the world. The wine lovers on the team at Firstleaf have traveled the world to curate wines that meet their wine standards, which we explore in detail a little later on. They’ve curated wines from Napa, Sonoma, Argentina, Australia and many other exotic locations. 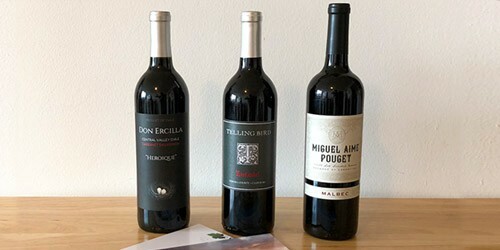 The reason why so many people are flocking to wine subscription services has to do with getting a high quality product at a less expensive price. Think about this for a second… A normal bottle of wine passes through a lot of hands from the moment it is bottled to the time you buy it. From the vineyard to the distributor to the merchant, every channel a normal bottle of wine has to go through means it gets more and more expensive by the time it reaches you. Thus, a bottle of wine that costs $20 to make may actually be marked up to $60 or more by the time you purchase it. Yikes! Firstleaf does away with all the middlemen by going right to the source — the vineyards. There they not only cut out all the channels that mark up the wine, they can also negotiate a better price. Therefore, they’re able to get customers high quality wines at super-low prices. If I’ve peeked your interest and you’re ready to learn more, everything you need to know about Firstleaf is right here! You’ll learn how to get started with placing your first order, our personal experience, the types of wines you just might find in your box, pricing, and more. Getting started with Firstleaf is pretty simple. Once you go to their site, you’ll be prompted to take a quiz. This is how Firstleaf gets to know you and your wine preferences better so they can work to make your box of wine specifically fit your taste profile. They’ll then stand a better chance at selecting wines they know you’re going to like. First, they’ll ask if you prefer white wine or red wine or if you enjoy both. You also have the option to select sparkling and rosé. Then, you can decide if you want your wines to come from the USA, if you’d prefer they were imported, or if you’d like a mix of both. And finally, the last question is to let them know how many bottles of wine you drink per month, whether it’s zero to two, three to five, or six or more. Once you’ve put in your email address, your chosen wines will be revealed to you. The Firstleaf quiz really only narrows down whether you like foreign or domestic reds, whites, and/or blends. After completing the quiz, you’ll receive an introductory order initially that contains three different bottles of wine. What I like about this process is that you get the confirm the wines before they send them out, it isn’t just a mystery box. So, if you see something you may not like, you’re able to replace it with another bottle. 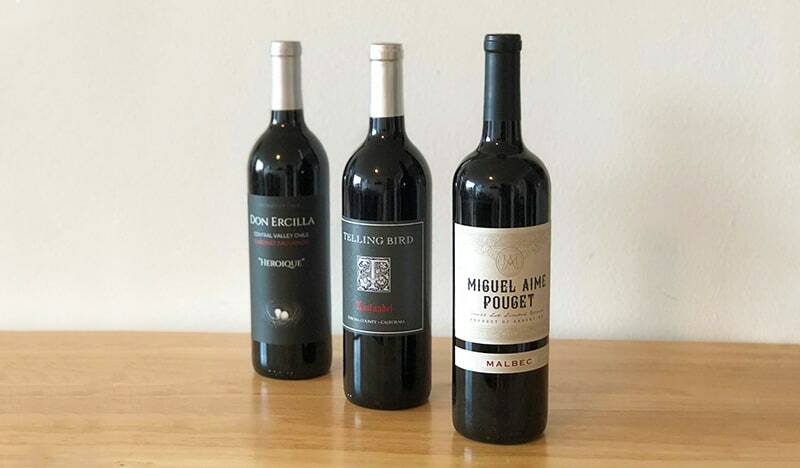 After your introductory order of 3 bottles, you’ll begin receiving the regular 6 bottles of wine per month. However, if that’s too soon for your liking, you can always change your delivery frequency. 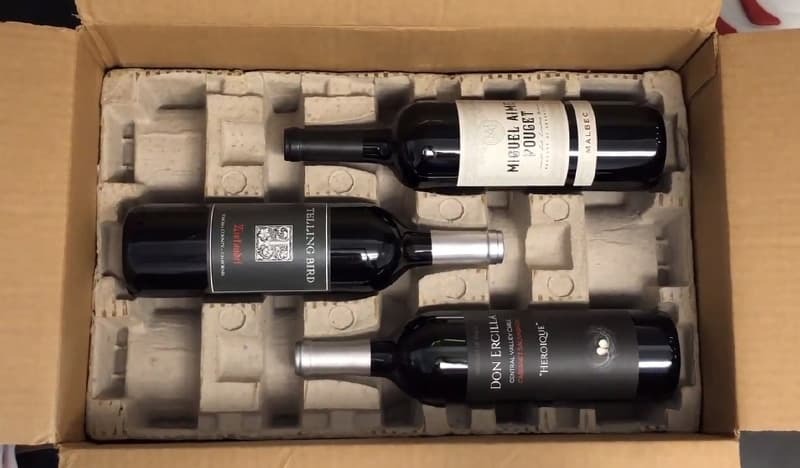 Being able to change how frequent your wine box is delivered is a nice added touch, especially if you’re only one person who doesn’t drink too much but still wants to explore wines. The selection of wines that are available as part of Firstleaf’s club is constantly changing. This guarantees you’re getting plenty of variety (a must-have if you’re going to be a long-term subscriber). This isn’t an extensive list but, as you can see, they cover all of their bases with the most popular varieties. Hawthorne Grove Winery: “Double Gold” and “Gold” winner of the Monterey County Winery of the Year. Winning “Double Gold” requires all judges to unanimously give “Gold”, whereas a Gold medal just requires a majority. For the sake of simplicity, you could consider Double Gold as “the best”, Gold as “excellent”, Silver as “very good”, and Bronze as “good”. Avistelle Pinot Gris: Awarded 91 points and a gold medal at the 2017 Critic’s Challenge. The points are based on the wine’s complexity and character, as well as the individual judge’s comments on its quality. Paso Del Tiempo: “Double Gold” winner at the 2016 Harvest Challenge. Currently, Firstleaf is able to deliver their monthly wine subscription to 42 of the 50 United States, as well as Washington DC. Orders can be accepted in the following states: Arizona, Arkansas, California, Colorado, Connecticut, Delaware, Florida, Georgia, Idaho, Illinois, Indiana, Kansas, Louisiana, Maine, Maryland, Massachusetts, Michigan, Minnesota, Missouri, Montana, North Dakota, Nebraska, Nevada, New Hampshire, New Jersey, New Mexico, New York, North Carolina, Ohio, Oklahoma, Oregon, Pennsylvania, South Carolina, South Dakota, Tennessee, Texas, Vermont, Virginia, Washington, West Virginia, Wisconsin, and Wyoming. If your state is not on that list, it unfortunately means they’re not able to ship to your location due to state alcohol delivery regulations. Firstleaf encourages customers in those areas to contact their local legislators to lift these limitations. For those who are able to order, your wines will be shipped through UPS Ground around 24 hours after the order has been placed. Depending on your location, it will take between one to five business days for the order to arrive. As mentioned above, someone who is at least 21 years of age will be required to sign for the package, otherwise UPS will not be able to leave the package. If you’re not home or someone is unable to sign, they will make two more delivery attempts. Do be advised that if your order is sent back to Firstleaf because the shipping attempts were unsuccessful, there will be a restocking fee. Your order will arrive in a standard cardboard box, which can be recycled with your curbside pick-up. There will also be a cardboard housing that holds your bottles of wine in place. This will prevent them from moving around and getting broken during transportation. One huge plus in their packaging design is that there’s no plastic involved. It’s great to see more companies making the move to be eco-friendly. Transporting wine is actually a bit trickier than it sounds. While the wine itself can be left at room temperature at your home, a stable temperature needs to be ensured while in transit so the wine doesn’t go bad. Simply put, if your wine gets hot while in the delivery truck, it could go bad. Firstleaf takes extra precautions to make sure the wine arrives in great condition. For a majority of your order’s trip to your location, they will be transported inside a refrigerated car to keep them cool. Although, the last few miles of their journey, they may be exposed to some heat on the delivery truck. If, however, your wines arrive and they’re warm, it doesn’t mean they’re ruined. Firstleaf suggests cooling them down first by placing them in a dark room. After they’ve had some time to cool, they should be fine to drink. I’ve talked about all the details of Firstleaf — how to get started, their wines, and more. Now let’s talk about our first-hand experience. After taking the quiz and confirming our selection, our box of curated wines was shipped about 3 days later. It arrived at our doorstep unscathed. One thing to note with any type of alcohol delivery is that someone who is at least 21 years old will legally need to sign for the package. Lucky for us, we live in an apartment with a doorman who can sign for us when we’re not home. However, many people don’t have this option. If you’re one of those people, I recommend having the wine shipped to where you work. This way, if you’re not home, there won’t be any delay in shipping. Once we opened our box, we found an envelope on top. Inside, it contained all of the information about the wines we received in our box. These cards share the profile of the wine, stats you might like to know, details about the winemaker, and suggested pairings to help you have the best wine experience possible. Having these informational cards along with your order is a fun way to learn more about the wines you’re drinking. Is it going to make you an expert sommelier? Probably not but you will certainly learn more about the wine you’re drinking and may even impress some friends with your knowledge the next time you pop a cork. My personal favorite part was learning what food the wines pairs with — something that I seem to always have an issue with. They list it out nicely on the cards. 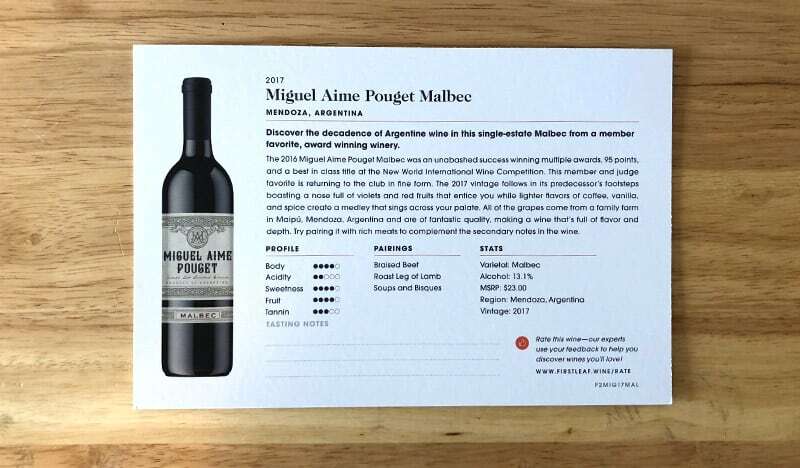 2017 Miguel Aime Pouget Malbec: This was a mostly full-bodied wine that was also a bit sweet and fruity for a Malbec (which is usually very spicy). It’s older brother, the 2016 version, was the winner of the New World International Wine Competition. Like many Malbec’s, this one comes from Argentina — Mendoza, to be specific. It pairs well with braised beef, roast leg of lamb, and soups/bisques. For being a bit on the sweeter side, it was a delicious red. 2014 Telling Bird Zinfandel: This was a very full-bodied wine with similar levels of fruity and sweet flavor as the Malbec. While it isn’t listed as an award-winner, it also had a delightfully spicy taste. It pairs best with ribeye, barbecue, and duck breast. 2017 Don Ercilla “Heroique” Cabernet Sauvignon: Last but not least was this Cab. Again, not an award-winner but still a quality bottle of wine. I wouldn’t say it was my favorite, nor would I opt to buy again, but it wasn’t bad. The flavor was a bit surprising. It had tasting notes of mint as well as chocolate mixed with a slight acidity — definitely unique. This was the only wine I rated somewhat negatively so that Firstleaf can learn what I tend not to like in a wine. One thing to note, if you haven’t already figured it out, I am partial to spicy wine such as Malbec and Zinfandel. Just in case you’re reading this thinking the wines I receive aren’t for you, remember that you’re able to customize your selection. As you can see, the prices for our bottles are massively marked down from what we would have paid at a regular retailer. However, do note that this is just the introductory price. Below we’ll talk about long-term membership pricing. Your introductory order with Firstleaf gets you three bottles of wine for an astounding $5 each (plus an additional $4.95 for shipping). To be honest, I’m not sure how they even make money with an offer this good. Once you’ve signed up to receive regular club shipments, you’ll get 6 bottles in every order that have been matched to your tastes. Those orders will cost you $79 (plus an additional $9.95 for shipping). The shipping is slightly more for the regular monthly boxes due to the fact that the boxes are bigger and they weigh more. So, if you price it out, at $79 for 6 bottles, that come to about $13.16 per bottle. Going back up to the comparison table above, you can see these prices still beat the in-store prices. Firstleaf has a 100% satisfaction guarantee. That means, if for any reason you’re not satisfied with a bottle of wine you receive, they will replace it or give you a credit for another bottle. Commitment to the satisfaction of their customers is very nice to see, especially when it comes to fragile items such as wine, that could potentially be damaged in transit. If you’re someone who is looking expand your wine palette without feeling overwhelmed with where to start, Firstleaf is a great option. Sure, you might be able to go out and buy these wines from a local liquor store, look up all of their information and research their tasting notes, preferred pairing, etc. However, that all times time. One of the underlying benefits of Firstleaf is the fact that you’re getting wine and wine education as convenient as possible. Also, based on our research, the bottles that Firstleaf sends are the least expensive we were able to find online. The ability to give feedback and customize your wine subscription experience is key to what makes this a unique and evolving experience. Rather than just sending you random bottles, like some wine of the month clubs do, it’s tailor-fitted to your taste. Plus, the wines should continually get more tailored to your taste the more you drink and rate. The one thing I wasn’t impressed with was the initial “quiz” that helps Firstleaf learn what wines you’ll initially like. If they were to add more questions to help them learn about your unique flavor preferences (such as whether you prefer chocolates or sweets) it could help them start by sending wines you’re more likely to enjoy. However, even if you truly dislike a bottle or it comes damaged, there is a 100% satisfaction guarantee that not all wine clubs offer. Overall, this was a really fun wine club. I could see this being fun for a couple who want to explore new wines each month or even a unique gift idea for a parent or loved one. Have you tried Firstleaf? Have a question I didn’t answer? Feel free to leave a comment below and we’ll get back to you as soon as possible!